* Total number of reviews and star-ratings are based on data collected during the time period Cal Air has been using the ReviewBuzz system and may not directly match the data found on each public review site. Fernando was here on time, got the job done. Happy with the service and Fernando. 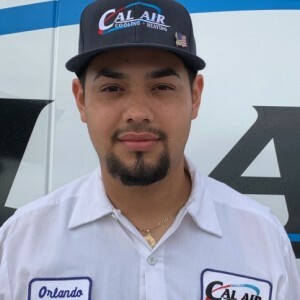 Orlando is a professional technician who conducted a thorough inspection of my two units and also cleaned the filters and replaced the insulation around the cooling units. You can trust this firm to provide you with an honest inspection and not use their maintenance plan to sell you something you don't need. Orlando was business like and went about his review of my Air Conditioner in a very professional manner. Excellent customer service, as always. Excellent service, best options and friendly staff. Alonso took care of my family and not only was friendly and respectful, but also very professional. He explained everything he was doing and he was very detailed on his work. Thanks to Alonso you will hear from us again. Had our AC unit inspected.. Services performed by Marcos .. Could not be any happier. The price was fair . He explained about a twice a year inspection for heat and ac.. I recommend this company. Marcos arrived on time and had all the information regarding my services. He was professional and explained in detail each process with regard to my spring maintenance service. I have had a great relationship with Cal-Air for over 10-years and do not regret a moment. I can honestly state that the company motto is,"the customer and their satisfaction do come first"
Alonso was punctual, neat and personable. He did a check and found the problem and explained it to us clearly. Will definitely use again. Marcos came to give a quote on new A/C units. He took his time explaining everything and was very patient in answering all of my questions. In my opinion he went above and beyond what I had expected. Thanks. Always professional and extremely helpful. Very quick to respond from large jobs to the simplest. They treat every situation with the same level of urgency. Highly recommend to all! 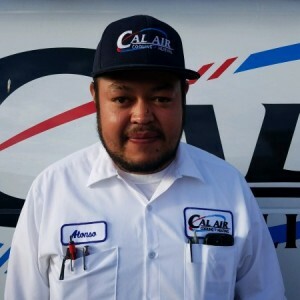 Customer service is always a top priority at Cal Air. Our BBB Membership A+ rating is like a badge of honor as we continuously strive to provide the best experience for our clients. 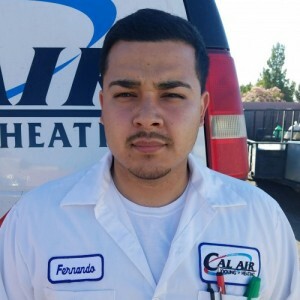 Fernando V has a 5-Star rating and leads the company in total reviews, making this pro a ReviewBuzz Rockstar! The technicians did a great job....replaced the furnace in 1 day. Courteous and professional would recommend and use again for any problems! My wife and I were very pleased with Alberto, Victor and Fernando. All of them were very professional. Alberto spelled out all the technical stuff to us. We were promised the installation would be completed within 4 hours because my wife had a needed PT appointment and they complied. Orlando came to my home and made sensible recommendations for the AC/Heating that I needed with zero high pressure sales pressure. I am confident that my decision to go with this company will pay long term dividends. They've done a great job twice now. Very professional, thorough and quick. Fernando did an excellent job. He was courteous, friendly and informative. Thank you for the great service. Excellent service came early in the 2 hours window and he was very efficient checking all that I asked him to do. Fernando was very knowledgeable. He called prior to the appointment to ask if he could move it up. He listened to my concerns about the filters which I just replaced and which were dirtier than in the past. He checked both units, explained what a peculiar odor might be (one of the heating units was new) and was thorough in his explanations and answers. We had a new a/c unit and air handler installed by Alberto, Fernando and Victor. They were very thorough, courteous and professional. The system is great and the bid was very competitive. We used Cal Air a few years back for a repair when another contractor wanted us to buy a new system. Honesty and integrity are what brought us back, and we weren't disappointed. Finally got the right fix for our water leak where our Air Conditioner connects to the outside water line. Thank you for coming back and stopping the leak. No more algae growing on our concrete. 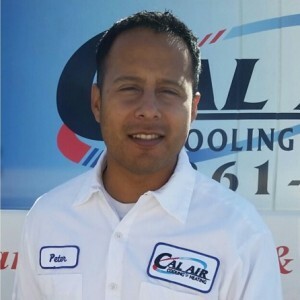 I had Cal Air replace my HVAC system. While the job is not yet completed, I am being annoyed everyday with Cal Air emails to write a review. I explained that the job isn't done and that I haven't yet had the time to evaluate the entire job. After all, you don't replace an entire HVAC system and know immediately if all is well! I further explained that I typically do write reviews and if they'll just finish the job and give me time to ensure that all is working well, I will write a review. That fell on deaf ears. All I got in response is that the requests for reviews are automated - as if that can't be corrected. So, Cal Air, here you go. I'm hopeful that your requests for reviews will finally stop now. 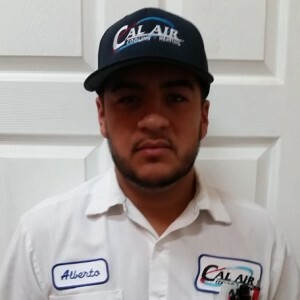 Cal Air is professional and prompt. They showed up promptly, they worked from the time they started until they completed the job. I am completely satisfied with company and would highly recommend them to others. We had a serviceman at our home in an hour after our call! And a new AC installed in less than 24 hrs! Fast, friendly, and very professional!